Worthington had accepted an invitation from William Brereton, third Baron Brereton of Leighlin (1631–1681), and moved to Cheshire as preacher at Holmes Green and household chaplain. 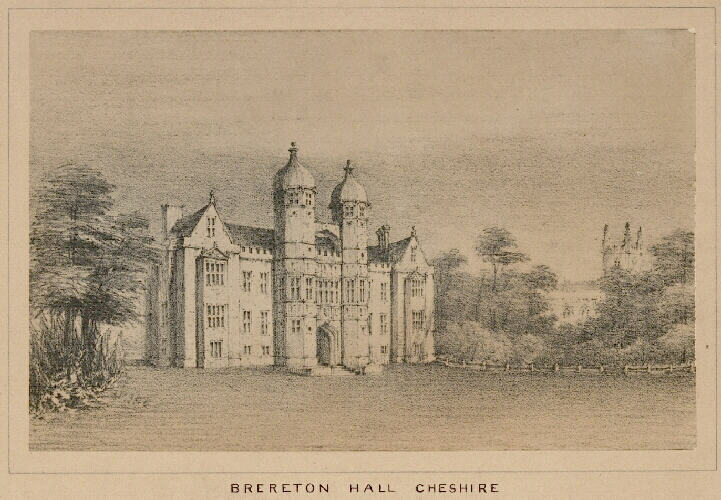 Fellow guests at Brereton Hall included the mathematician (and former tutor of Brereton) John Pell (1611–1685); Hartlib’s son-in-law Frederick Clodius (1629–1702) and his wife Mary (Hartlib’s daughter, d. c. 1668); Daniel Hartlib (the intelligencer’s Danzig-born nephew, fl. 1657–1677), and Francis Cholmondeley (1636–1713). Robert Boyle (1627–1691) had been invited also, but had declined.3 Dr Penman has deduced that Brereton bought Hartlib’s archive from the intelligencer’s son, young Samuel (1631–after 1690), sometime in 1664.4 The convergence of Hartlibian figures at Brereton Hall appears to have been part of an attempt to further a scheme wholly in keeping with the ideals of the deceased reformer, namely one that would result in the education and relief of the poor of Cheshire, assisting with the provision of education and optimal husbandry, whilst working more generally for universal reform. Despite having family in Manchester (where he had been born), Worthington explained in a letter some years later to Elizabeth Foxcroft: ‘Nothing did or could more induce me to that northern journey I took in the year 1666 but that I was told by one that he did exceedingly affect and would begin such a design of Christian societies if I would remove thither. And if I would take pains there and preach sometimes abroad, he would allow me a competency a year . . .’5 Brereton was not able to fulfill promises to the assembled company, however, and the circle crumpled, together with its aspirations, as members disbanded and drifted elsewhere. 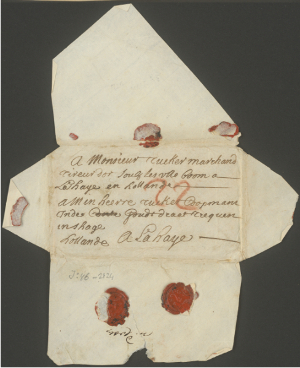 Prior to his departure in April 1667, the letters Worthington wrote from Cheshire offer a sequence of fascinating glimpses into his time spent with Hartlib’s papers. Clearly he must have suggested to Seth Ward (1617–1689), for example, that the latter’s letters be removed, for the then bishop of Exeter wrote on 15 March 1666/7: ‘I am very glad that the papers of Mr. Hartlib are preserved, and that they are fallen into your hands, who are able and disposed to make the best of them . . . those letters of mine own which concerned either Hevelius or Mercator, which although I have forgotten, yet so much I am sure of that they were carelessly and perfunctorily written (or else, indeed, they had not been mine), so that it will be to my advantage to suppress them. However, sir, I leave them wholly to your disposal, either to bring them to me, when I may have the happiness to see you, or to burn them, or leave them among the rest.’ 6 Ward’s letters are not to be found today in the Hartlib Papers in the Hartlib Papers at Sheffield University Library. The reason Worthington had accepted Brereton’s invitation in the first place, however, was not to sift through Hartlib’s papers. Rather, from September of 1666, he was no longer in a position to refuse. 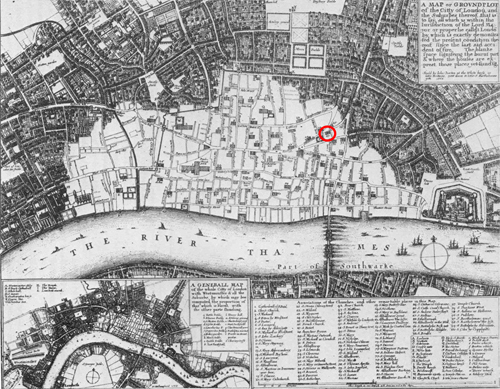 St Benet Fink in Threadneedle Street, where he had been rector since May 1665 and where he had worked throughout the course of the plague took hold that year across the city, had been destroyed in the fire of London. Worthington’s own house had been razed, many of his possessions were lost, his church and his parish lay in ruins. Nor was this the first escape from fire for Hartlib’s archive. On 6 February 1661/2, Hartlib wrote to Worthington that it ‘pleased God to visit my chamber with a very sad and fearful accident of fire.’ An iron stove in his chamber, stoked by his own son, Sam, had overheated; ‘many of my things were spoiled’, Hartlib wrote.9 Although the papers are not mentioned here as having fallen victim in any way, Worthington had remarked previously on the ‘many bundles of paper’ in Hartlib’s study.10 Worthington’s words of consolation, ‘I was sorry to hear of your late danger by the fire in your study, which might have been more devouring and terrible had it been in the night. I hope that the violence was prevented from destroying many of your papers‘, did little to console his friend, who died the following month on 10 March 1662.11 Although the threads that weave in and out of these surviving texts tell sad tales of dreams shattered and aspirations unachieved, the connections between the individuals involved are complex. How and why this group converged upon Brereton Hall is itself a story that cries out to be explored, and where better place to start than with John Worthington. This entry was posted in Uncategorized on November 29, 2017 by Miranda Lewis. Celebrations are afoot in The Hague following the reopening last weekend of the city’s Museum voor Communicatie [COMM]. This museum, which has been undergoing renovation for the past eighteen months, was established in 1929 around the collections of the philatelist Pieter Wilhelm Waller (1869–1938) and is dedicated to the history of post and telecommunications.1 As COMM throws open its doors on a range of new vibrant and engaging exhibits, at EMLO we would like to draw attention to the catalogue of the remarkable corpus of letters known as the Brienne Collection which resides in its care. This veritable treasure trove is made up of approximately 2,600 letters, although the precise number is still to be determined. Over the course of the seventeen years between 1689 and 1706, not one of these letters, for a myriad of evocative and mundane reasons, reached the hands of its intended recipient. 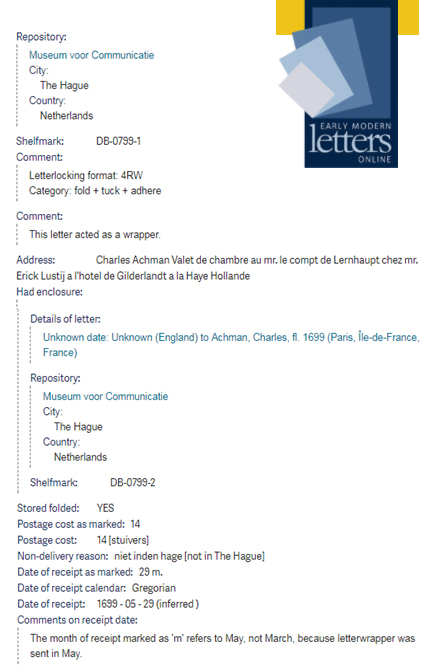 Rather, each undelivered (or ‘dead’) letter was retained in The Hague as property of the Postmaster and (until her death in 1703) Postmistress. Simon and Marie Brienne were responsible for mail both to and from ‘the city of Antwerp and all surrounding places and cities in Brabant, France, Flanders, Mons in Hainaut, and Spain’.2 The undelivered letters (which have been the subject of a couple of previous posts on this blog) are being examined and catalogued at present in meticulous and methodical detail by our partners the Signed, Sealed, and Undelivered project.3 To coincide with the reopening of COMM, we are delighted to release into EMLO metadata for the first batch of letters from the Collection and to inform you that further ‘installments’ will be uploaded over the coming months. New metadata fields in EMLO include letterlocking details and date of receipt. We hope EMLO’s users will seize the opportunity to explore these pioneering records both with respect to content (each letter has been photographed and images made available for consultation) as well as for the richness of details collated. Over the past year, EMLO has worked particularly closely with the SSU team. A week-long workshop dedicated to scrutiny of the metadata that could and should be captured for these remarkable letters was held in Oxford last March and provided the ideal opportunity for the two projects to discuss a number of fields which had not been considered in the epistolary data model when construction of EMLO-Edit took place back in 2010. As Cultures of Knowledge set out to create its pilot union catalogue of scholarly correspondence, the assumption was that (almost always) the manuscript letters under consideration — whether draft, letter sent, copy, or extract — would be conserved flat, as is usual in all the libraries with which we work. Not in our wildest (epistolary) dreams did we anticipate the inclusion of thousands of letters that had been sealed and sent, but not received and opened. Yet the Brienne Collection — with approximately six hundred letters that have managed to evade earlier curatorial ‘intervention’ and as a result have remained locked and sealed for more than three centuries (and will continue thus in perpetuity, thanks to the considered ethos of the SSU project and to enlightened curation at the museum, their contents revealed to us instead by use of ‘non-invasive’ scanning procedures) and more than two thousand with broken seals that are stored still today as folded originally — has opened up a compelling new field of study. The dedicated and pioneering SSU letterlocking team, headed by Jana Dambrogio and Daniel Starza Smith, has developed an entirely new vocabulary (details of which are explained on their Letterlocking website and will be available in print in their forthcoming publication, A Dictionary of Letterlocking). Of course such metadata requires designated fields for storage and display. Whilst we have always known we would work at EMLO with scholars who wish to focus on postage marks and routing notes, we did not imagine as we built our database that so many wrappers would become available for study, nor that metadata from this fascinating and invaluable Brienne Collection would stream in such profusion into EMLO. It’s rare to encounter an early modern wrapper in an archive: in the Brienne Collection, these have survived in abundance. This entry was posted in Uncategorized on November 10, 2017 by Miranda Lewis.